“Our results are alarming,” said Nicholas Dulvy, who chairs the grouping of 174 experts from 55 countries. 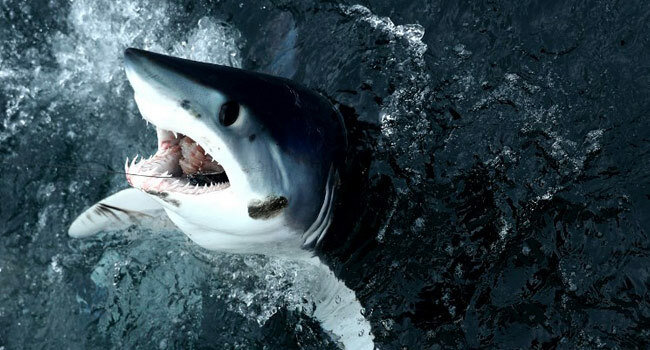 That category includes the shortfin mako, whose cruising speed of 40 km/h (25 mph) — punctuated by bursts of more than 70 km/h — makes it the fastest of all sharks. An Appendix II status would not ban fishing or trade but would regulate it. Six of the species reviewed were listed as “critically endangered,” three for the first time: the whitefin swellshark, the Argentine angel shark, and the smoothback angel shark. Eleven others were classified as either “endangered” or “vulnerable” to extinction. The IUCN’s shark group is conducting a two-year review of more than 400 species of sharks. But that requires a benchmark, especially for pelagic — or open ocean — species, Dulvy explained. “A decade on, we now know that the situation is way worse than we ever thought,” Dulvy said. “In the Indian Ocean” — along coastlines in the Arabian Sea and the Bay of Bengal — “the tuna fishery is really a shark fishery with tuna by-catch,” Dulvy said. In light of its new findings, the Shark Specialist Group is calling for “immediate national and international fishing limits, including complete bans on landing those species assessed as ‘endangered’ or ‘critically endangered’,” said Sonja Fordham, deputy chair of the group and an officer at The Ocean Foundation. Sharks have lorded over the world’s oceans for some 400 million years, playing a critical role in global food chains. The greeneye spurdog — newly classified as endangered — has a gestation period of nearly three years, the longest in the animal kingdom.